This period was previously the time most likely to have experience with tooth decay in a person’s life. However, nowadays, the decade of the 70’s exceeds the 9-18 year old time period for decay potential. In the early part of this period, decay on the grooves of the teeth is most common. Sealants reduce the chance of decay in the grooves of the teeth. 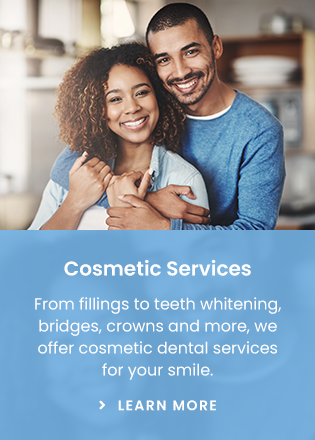 A sealant is essentially liquid plastic that seals over deep grooves on the biting surface of posterior teeth that are deemed by the dental professional to be very likely to develop tooth decay. The technology of sealants has changed markedly in the last 10 years. Sealants placed over even very early decay will be quite detrimental to the tooth so extra care must be taken to assure there is no decay underneath the sealant when it is placed. If a sealant is inadvertently placed over a small amount of decay in the groove of a tooth, the decay is deprived of oxygen. Traditionally, tooth decay was thought to be a strictly aerobic process (a process requiring oxygen), so the decay was thought to not be able to progress under the sealant. However, in the last decade or so, scientists have discovered that tooth decay progresses even without oxygen once it has started, but the process is much slower without oxygen than it is with oxygen. Methods of placing sealants, and some of the equipment needed to place them has changed to accommodate this new scientific evidence. In the teenage years, decay between the teeth is very common. This can be nearly entirely avoided with the introduction of floss at least once per day starting in the early part of the 9-18 year old period. Floss cleans areas of the tooth that a toothbrush cannot reach. Floss tends to be a “hard sell” to early teens for a variety of reasons. Plaque accumulates much faster on a tooth that has not had all of its surfaces cleaned than on a tooth that has been thoroughly cleaned. Floss is essential for maintaining the teeth until the end of a normal life expectancy period. Much damage is avoided by the use of floss. The earlier the person starts daily or even twice daily flossing, the less damage will occur to the teeth and later the gums and bone during this period and throughout life. A normally developed person in the 9-18 year old period of life has the manual dexterity to effectively floss his teeth. Many young people have the positioning of their teeth adjusted during this period with braces. There are both functional and aesthetic (looks) reasons to move teeth. Braces are not new. In fact, very looks conscious people like movie stars were getting braces way back in the 1930’s. Orthodontics (moving teeth) is now very solidly in the mainstream of dentistry and of society. Teeth move easily in this period of life. The technology of orthodontics has changed. For adults, it is possible to move teeth with clear mouthguard like appliances (Invisalign) instead of braces in many cases. Usually, orthodontists opt for fixed appliances (braces) in the 9-18 year old period of life instead of mouthguard type appliances because the adolescent person does not have to be relied upon to place and keep the appliances in his mouth. The braces are attached. The wire used in conventional braces has changed. The large amount of force that was required to move teeth back in the 70’s is no longer needed with the more flexible wires of today. This makes braces and the movement they cause quite a bit more comfortable nowadays than it was back in the 70’s. Permanent teeth removed during this period because of decay or breakage nearly always cause major movement (drifting) of other teeth in the mouth causing at least partial collapse of the occlusion (bite). This is why getting a child’s permanent teeth looked after if there is a cavity or a break is even more important in this period than it is later in life. This period is the time when the body builds the best bite it can by itself. The lower face is really what can be considered fully developed by the early teen period. Especially in the early part of the 9-18 year old period, the lower face is expanding lengthwise and in its width. All of the baby (deciduous) teeth are replaced by permanent teeth by about 13 years old. This is also the time habits of taking care of the teeth are often developed. Patterns develop for brushing, flossing, and eating. It is a period that has a profound impact on the growth and development of the mouth as well as the oral hygiene habits of the rest of the person’s life.